Characters from a comic done for Fatbird Frank, a Festschrift blog for the recently departed cartoonist and creator Aaron O'Donnell. The bird in this case is a garuda, and the cat is a Khmer-style lion. Thanks to Soeun Klo, Kim Phally, Kong Monirath for the assist. The review above seems to be a review of my behavior and reputation contrasted against my work. (Which has, of course, never happened to me before.) There's no mention of individual stories that made an impression or inspiration. 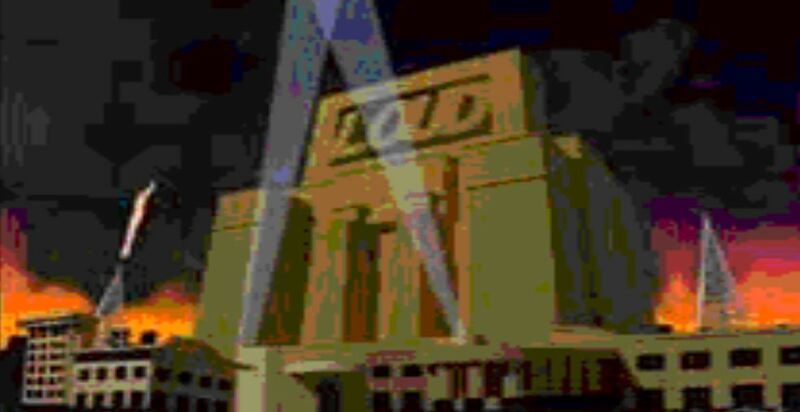 I prefer being a friend to a symbol any day of the week, it's a helluva lot more fun. I'd like to be remembered for bringing laughs and ideas, not as some kind of trailblazer. The only innovation I can claim is perhaps 'timed' comics, done on the spot. Will I encourage people to pick up a pen? Sure. I can point out varied directions, but people ultimately need to make their own choices. Others have gladly chosen a missionary role. Let them wave their flags and shout slogans. I discovered zines in 1987 and they've been a part of my life ever since. I have fond memories of my two year stint in Melbourne. It was a lot of fun to see comics getting some attention during the Loud Festival, and seeing my friends get some reviews and recognition. We continued our discussion on the Australia Zines email group when I returned to the States. Milk Bar came out around this time. My time was limited - it always is, no? - so I spent a fair amount of time exploring, researching, and enthusiastically participating in the Melbourne comics demi-monde. Sure, that made me highly visible, but save 'legend' status for those who have consistently walked the Oz Small Press talk for over two decades. During the development of the first National Young Writers Festival, I made the case that zines and comics (as self-published mail periodicals) should get an equal modicum of respect, given the effort involved. (Just wish I could have actually attended even one session.) Had fun express shipping a big box of QuickDraw #4 to Newcastle for my Australian comix pals to discover. I'd hardly expect myself (or anyone else) to be static in their style or approach over 20 years. What we can hope is to become more like ourselves, a truer expression of our ideas and themes. I don't fault experimentation, it keeps us fresh. If I have to choose between identifying as zinester or a comics person, I'd say comics. I see zines as a format and comics as a genre of literature that can be delivered via the zine format. I've got a lot of affection for both. And I'm enthused to see blogs deployed as a tool. I like the DIY spirit but don't self-identify as a 'punk'. In many other countries, there's a very pronounced gradual gradation from self-publishing to getting paid for doing writing / art. It's a lot harder in the Anglophone comics world, and it really shouldn't be that way. The West (and in particular the USA) needs to stop orbiting the black hole of Hollywood and look to European / East Asian models. In part, that was why I started Comics Lifestyle, to share what's going on in the rest of the world. Ostensibly I was in Australia for my MA in Asian Studies. I now hang my hat in Cambodia. It could be viewed as DIY heaven or hell, depending on your perspective. Comics were screen-printed directly by artists, in small poor-quality print runs of hundreds or thousands. But these artists had zero desire to be part of an underground. They wanted to eat from their art, support their families, and aim for a stable income. Many of these creators are worthy of translation and book-format publication. There is more of an underground spirit in Indonesia, which is far more prosperous, populous and literate. 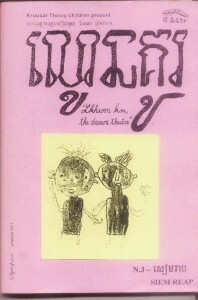 I visited in 2003, and published a bi-lingual edition of QuickDraw #5 ('Spontan'). To cultivate a literary counterculture, you need a literate population, and you need a middle class with disposable income to fund it, in most instances. Below: A more professional effort from the same crew, this one helmed by Lisa Mandel from the earlier group. 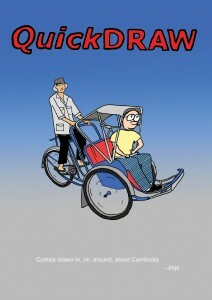 Unlike my Indonesia issue, when the time came for QuickDraw #6, I thought long and hard about the format. Screenprinting on newsprint would have been a fun art experiment, but also would be overdoing localization to the point of what might be considered disrespectful parody. 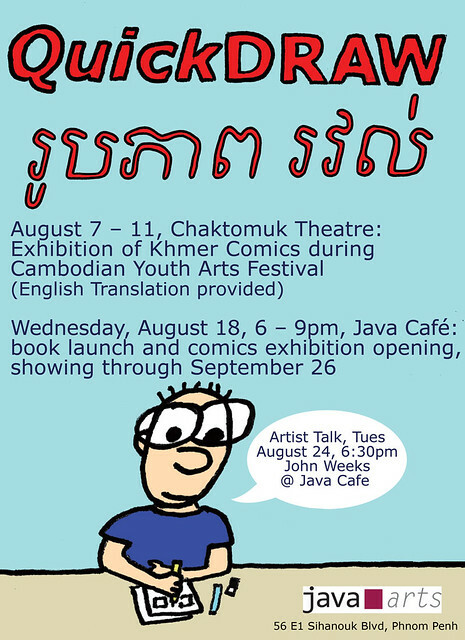 Khmer comics artists aspire to better paper and printing, and to recognition on the world stage. To cover a wide readership and see how far it could be flung, QuickDraw #6 has separate Khmer / English printings and is in color. It's in a format (and price) that I hope shows a degree of respect for the reader's hard-earned dollar. I also made an effort to make it available for free in most digital shops (Amazon requires a price; they are jerks). People are trapped in the Apple and Amazon 'silos', some have been raised dependent on these systems, and really need to become conscious of alternatives. 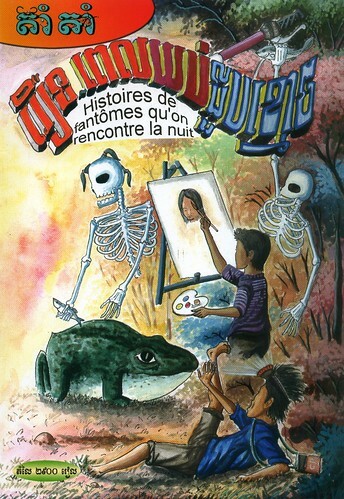 After the QuickDraw #6 publication and exhibition, it was a nice capstone to 10 years in Cambodia. Naturally, I thought "Damn, am I going to wait that long to put out another comic?" So I started putting out a comic a day at QuickDraw.me, for an initial commitment of one year. It was a great challenge to wrestle with and a lot more off the cuff and (dare I say) 'ziney' than other comics I've done. A few words on ISBN: Cambodian writers can often feel cut off from the world, and ISBN certification was sorted within the last decade by concerned archivists and librarians. I have a lot of geek love for these types, and am proud to participate in their efforts. We cheered when ISBN was instituted. A lot of work still needs to be done on categories. I don't have contempt for library science. Librarians are the first to cry wolf when freedom of speech is threatened. And I'm pleased to see the State Library of Victoria archiving Australian small press. If an ISBN & a Barcode are selling out, count me guilty as charged.